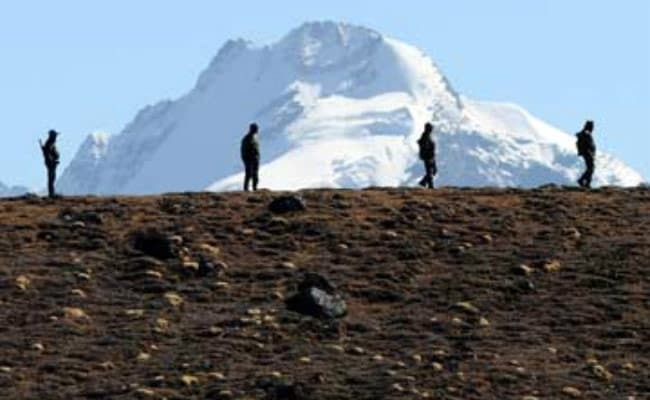 China has accused Indian troops of crossing border in Sikkim section. Washington: The standoff between India and China soldiers in the Dokalam area could be part of China's "salami-slicing" tactics of making "inch-by-inch" changes to the status quo to slowly gain a strategic mile, a top American expert has said. China and India have been engaged in a standoff in the Dokalam area of the Sikkim sector near the Bhutan tri-junction for over three weeks after a Chinese Army's construction party attempted to build a road. "I am concerned about the standoff on the border, as obviously are so many in India," Alyssa Ayres, a former State Department official under the Obama administration, told PTI. Currently, a senior fellow for India, Pakistan, and South Asia at the Council on Foreign Relations, Ms Ayres said this forms a part of the larger Chinese tactics as seen in the disputed South China Sea. She said this was a new example of China looking to take "a tactical inch over and over again to slowly gain a strategic mile". In the South China Sea context, observers have focused on China's 'salami-slicing' tactics of smaller changes to the status quo, and that over time add up to something strategically significant," she said. "Is this now the Chinese approach to the border with India? Can't be ruled out," Ms Ayres said in response to a question. China claims nearly all of the South China Sea, despite partial counter-claims from Taiwan and several southeast Asian nations including the Philippines, Brunei, Malaysia and Vietnam. However, Daniel Markey, Senior Research Professor in International Relations at the Paul H Nitze School of Advanced International Studies at the Johns Hopkins University, said he is not terribly concerned about India and China finding non-violent ways out of this border dispute alone. "For decades, they have each shown an ability to manage these tensions diplomatically and by signalling on the ground without crossing into serious violence," he said. "But I am much more worried about the possibility that this dispute will be harder to manage because of other tensions in the region, such as Tibet and Pakistan," Mr Markey said. "More broadly, this dispute reflects an emerging reality that neither Beijing nor New Delhi feels it can be perceived as weak. This is true for both strategic and political reasons, and it means that we are likely to continue to see territorial and other disputes played more aggressively in the media. This will make them increasingly more difficult to de- escalate," Mr Markey said. In a policy paper in 2015, Mr Markey had warned of armed confrontation between China and India and had said that the US has a major interest in preventing such confrontation. Mr Markey warned that if Washington were to remain neutral or favour China's position, India would perceive US policies as abandonment. "That would jeopardise prospects for US-India strategic partnership pursued by the administrations of Barack Obama and George W Bush through diplomatic initiatives like the civil nuclear deal and motivated by a long-term goal of sustaining the liberal international order favoured by the US," he wrote in his 2015 paper.